Druces provides planning advice at all levels from background advice on normal property transactions through to planning agreements on major development sites. We also advise on environmental issues and contaminated land problems. The firm’s particular experience includes advising developers on the need for/validity of existing planning permission and conditionality of contract to acquire land subject to planning permission; advising occupiers on the validity of the planning permission for the commercial premises they are intending to lease; advising funders on the validity of the planning permission upon which their borrowers are seeking to rely; and advising individuals on the validity of planning permission for property they are buying and on objecting to neighbours’ applications for planning permission. 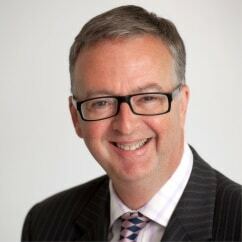 Druces LLP recruited Christopher Proudley as consultant from Trowers & Hamlins LLP. Proudley specialises in planning and CPOs, advising both the private and public sectors. We advised the owner of a London hotel selling with the benefit of a planning permission to demolish and rebuild so as to double in size and particularly on the need for implementation within the life of the permission and the position with regard to undischarged pre-commencement conditions. We acted for a bank on the limitations of the permitted development right to change a redundant office building to residential use and the implications for valuation, particularly timescale and the meaning of implementation in this context. We advised a high profile national retailer on taking a lease of a unit in a Midlands shopping centre and in particular the implications of that building being Listed, advising on the ongoing implications for their tenancy. We acted for a business club operator intending to take a lease of central London premises and particularly on the concept of an ancillary use where an important part of their intended operation was not specifically covered by the existing planning permission. We are advising a residential developer on a possible CPO to be promoted by the local planning authority and backed by them. We are advising a leisure operator on an appeal against refusal of planning permission and in particular the negotiation of the terms of a section 106 agreement.